The day before Christmas, Hubby and I dashed around San Francisco recording all of the Christmas decorations. Here’s the lovely video. Enjoy! This pic was not taken in SF but in Napa Valley. Michelle of The WineTastic Weekend took us to the Far Niente Winery in Oakville as part of a whole day of food, wine and fun. 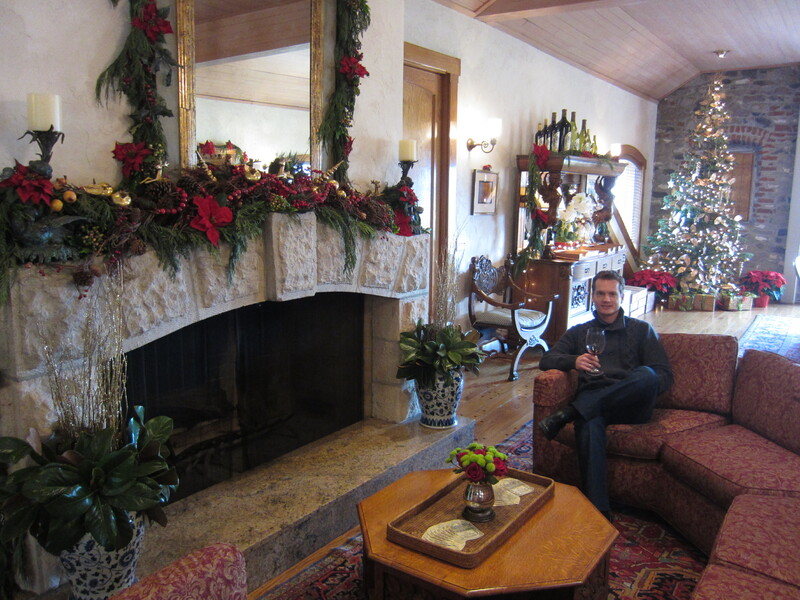 Far Niente’s Christmas decorations were so pretty that I just have to show you.